Priced below MSRP!!! 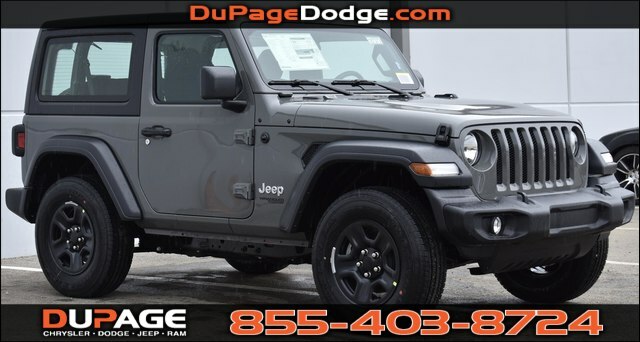 Why pay more for less** A quality vehicle at a quality price is what we strive to achieve* Rolling back prices*** One of the best things about this 2018 Jeep Wrangler Sport is something you can't see, but you'll be thankful for it every time you pull up to the pump!!! 4 Wheel Drive, never get stuck again. Stunning! Optional equipment includes: Transmission: 8-Speed Automatic (850RE), Air Conditioning, Black 3-Piece Hard Top, Engine: 2.0L I4 DOHC DI Turbo eTorque..., FREE LOANERS!!!!!! PICTURES ARE FOR ILLUSTRATION PURPOSES ONLY.